Chabad of Southampton, the first synagogue in historic Southampton since its 1640 founding, has attracted Jews from all walks of life and levels of observance who unite year-round to participate in its ever-growing number of programs and regular synagogue services. 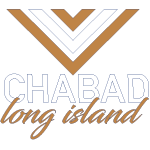 Consistent with its open-door, non-judgmental policy, Chabad warmly welcomes them all. Thanks to the community’s generous support, Chabad continues to serve the Southampton Jewish community in ever-widening ways. They include Friday-night Shabbat services and joyous, inspirational Saturday morning Shabbat services with exciting, educational children’s programs and Kiddush, and an everpopular Sunday morning minyan. Chabad also offers community Jewish holiday services, Hebrew School and Mommy and Me children’s programs, the Hampton Chai Teens youth group for post-bar- and bat-mitzvah youths, Hebrew reading courses for adults, and even an annual gourmet kosher cooking workshop! Passover Seders and holiday parties round out their array of outreach initiatives. To Chabad, the world’s most important Jew is you. Join us!